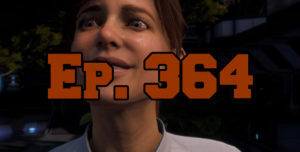 On this episode of The GAP Luke Lawrie, Joab Gilroy, and Jeremy ‘Junglist’ Ray talk about all of the problems that they have with Mass Effect: Andromeda. They also discuss the other games they’ve been playing which includes PlayerUnknown’s Battlegrounds, Furi, Nier: Automata, Hulabear, and more. Over in the news there are strong rumours about an upcoming Project Scorpio reveal (which have since turned out to be true), Destiny 2 is announced and will also come to PC, Blizzard drops Heroes of the Storm 2.0 details, the Quake Champions beta kicks off soon but will not have Australian servers until a later date, and a Jak and Daxter collection is coming to PS4 . This episode goes for 2 hours and 30 minutes, it also contains coarse language.